Here at Academy, we endeavor to keep the relevance of our module up to date in order to connect learning with reality and for that reason, we update them constantly. We add more assignment tasks, more information, more challenges. M1 to M6 will all have a drawing component, in order to better equip our students with skills for life. Born in 1970, he attended a specialization in graphic art, then graduated first in art teacher and then a graphic designer at the School of Art M.Fanoli Citadel PD. He attended specialization courses in industrial and interior design, working simultaneously with showrooms in the industry. Is aware of the study Lino Codato where designers will have a twenty-year collaboration, which has opened a 360-degree knowledge in all areas of furniture and interior architecture, thus strengthening their culture. In 2008, he started his profession, continuing to offer innovative design ideas and harmonics that can meet the needs of the client and the client. Rastelli was born in 2014 from an idea by Renzo Rastelli and aims to penetrate not only the Italian market but also internationally. The idea of ? 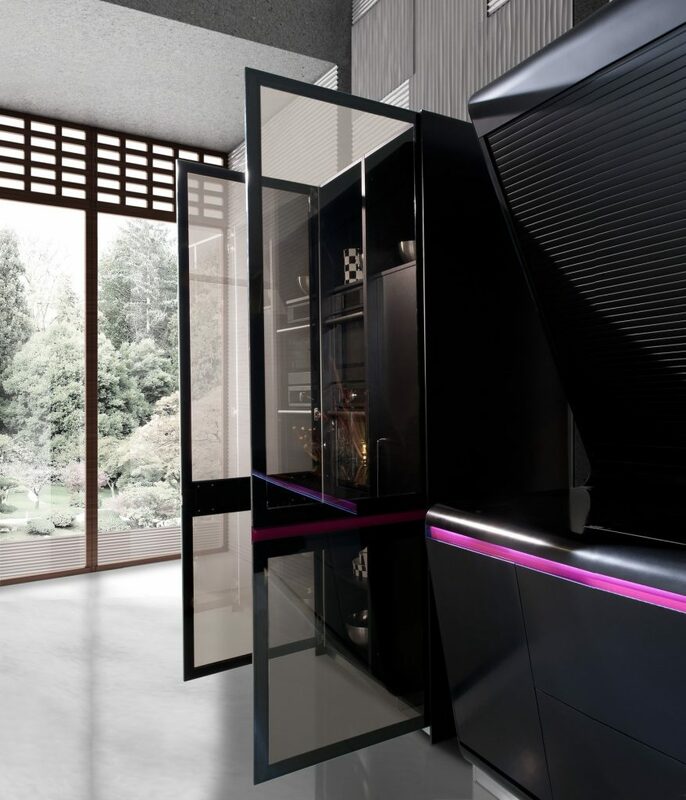 ?internationalization encourages the company to immediately contact two of the best architects in the world: the Italian Ferruccio Laviani and Karim Rashid. The main objective is to create a product multifaceted and evolving to reflect on the one hand and on the other the Italian design may have the characteristics of broader scope. The search does not stop at what is the appearance but also deepens and especially the themes of eco and ergonomics. The company wants to have it among his trademarks that of the green and it is certified according to the strictest standards by obtaining the FSC and ISO 14001. Rastelli From the point of view of ergonomics is on the market as the company that offers the larger forms in quantitative and qualitative terms, having chosen as standard modules extra capacity both in height and depth and being able to count on size can meet American standards. There are three words that can then summarize the company's mission: design, quality, green. The daily goal of management is customer satisfaction. 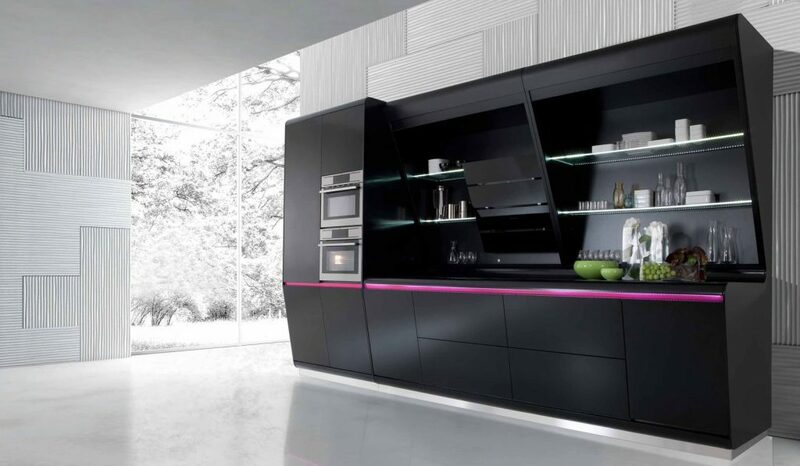 "I follow a minimalist approach in my kitchen, preferring to create evocative clean surfaces interrupted by splashes of strong color.For the kitchen Kook I wanted to create an innovative design to convert the most demanding culinary challenges in the pure aesthetic pleasure. " 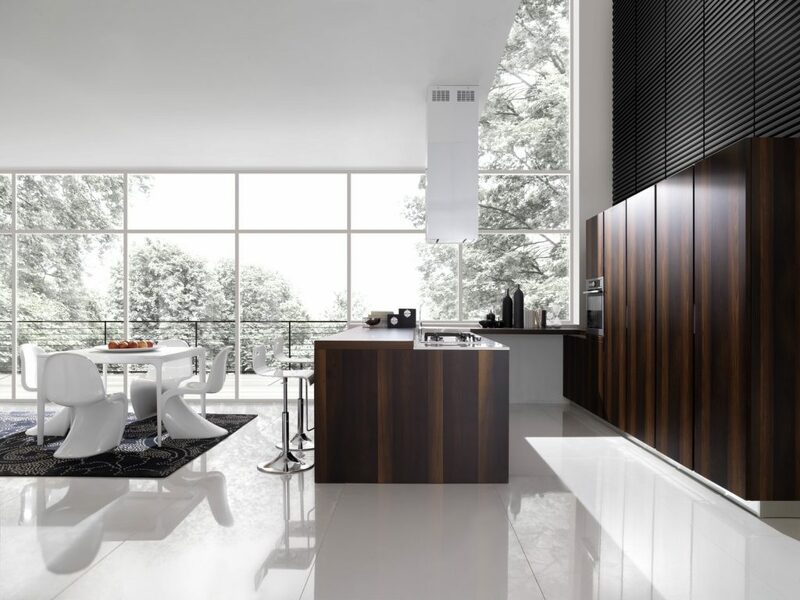 The furniture open to give a wide view of what they can offer and then close when the meal is prepared making the kitchen minimalist and tidy. 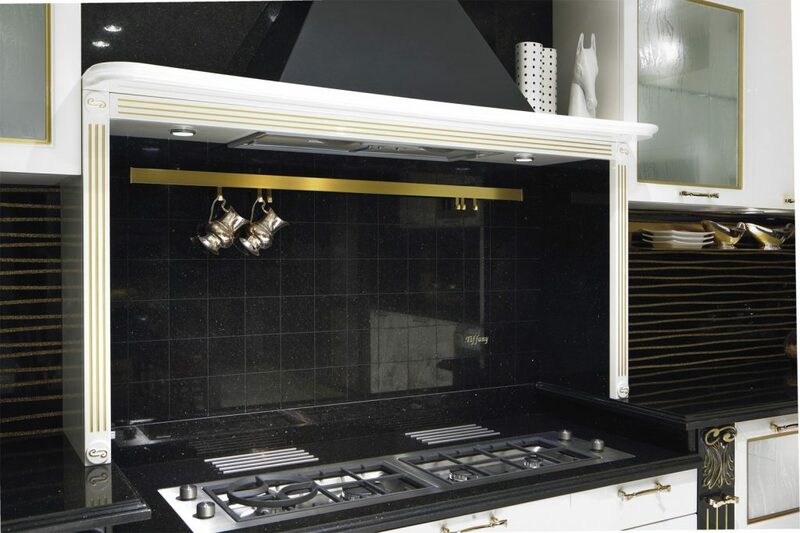 The shutters to reveal their internal LED illuminated shelves and an integrated hood above the cooktop. Using the Inclined moving, bulky accessories can be placed at the top while the smaller, more easily accessible, will be at the bottom making cooking a carefree time. 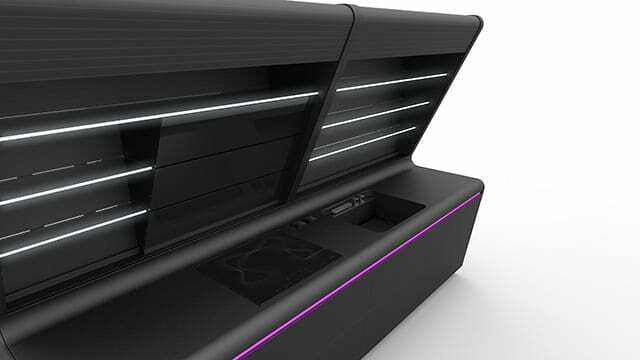 The furniture with lower pressure opening are emphasized by colored LED strips and inclined to allow an easy approach to the work surface. 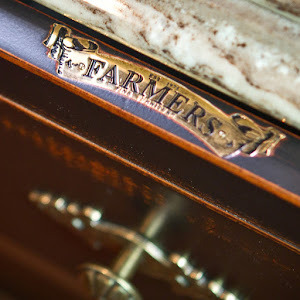 Kook also has a sink that can be hidden under a cutting board finish to create a continuous surface. The use for the doors of Corian applied on an aluminum frame secretly gives birth to a union that combines technicality, durability and aesthetic minimalism. "The kitchen is the heart of the home. With this thought in mind, I took what is often considered an archetype of the kitchen and I converted into an elegant shared experience. " The concept is pivoted on an island-shaped open pedestal. The curve tapered island invites friends and family to take place. Both the mixer and the LED light will retract into the worktop, creating a smooth surface. The simple addition of a multipurpose cutting board over the sink creates a solid space on which to dine. The soft curves continue on the unit to the wall. A rounded silhouette creates a space inside the cooking and preparation. The pane on the lighted mirror is surrounded by LED lights environment. The furniture fridge, oven and pantry are opening the throat. The use of glass for the doors in matt and glossy as well as the ceramic helps to make it even more exclusive model itself original and recognizable. Royale is the answer key to the new dynamics of composition of everyday life: the contemporary rhythms along with the evolving needs of our times affect the environments where we live. Royale responds to the needs and rewrites the rules of the kitchen, making it a true place of conviviality, and not just "mobile". The space of the composition grows up to become an integrated part and parcel of living area. Royale is a true formula designed to cook and move around comfortably. The door of strong thickness of 28 mm is presented in a series of variants that transform the model system. It goes from laminated wood finish with matt and glossy brushed to get to the glass and the most valuable types of wood like ebony and oak Heat-treated. 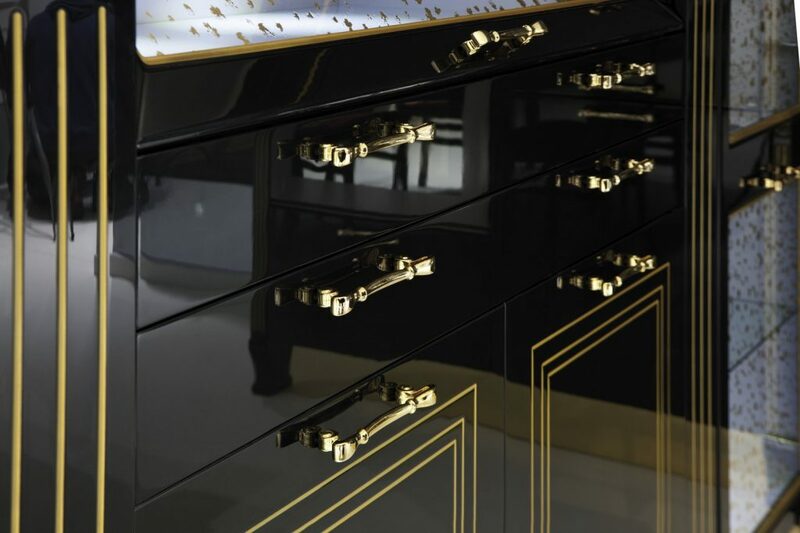 Tiffany, design by Gianpiero Scopigno, is an interpretation of the classic style and cutting-edge shows its beauty with glossy and matt lacquered doors, the mica gloss and matt lacquered doors, the decorative motifs of the neoclassical inspiration, the precious gold and silver finishes, handles steel or gold polished, the back in black granite or white marble with veins Covelano gold or silver. Tiffany bride concepts of elegance and style embracing the formal and decorative only apparently in contrast and creating a play of light and reflections suited to a discerning public. The choice of composition runs between fifteen lacquered finishes and six finishes mica, with unexpected effects on quality of surface gloss. The options of decorations in silver and gold color dictate the choice of the other compositional elements such as frames and hooves. To embellish the collection we are finally finishing dew glasses and confetti in real gold leaf and marble and quartz new plans carefully selected. Choose Tiffany is choosing a timeless style that stands over the trends of the moment. Choose Tiffany is to make the kitchen a place of great scenic emotional impact. ENYO is an innovative appliance that brings cooking back to the table. Designed aesthetically with furniture cues, the cook-top fits into a living or dining room, like a glove. The module consists of a freestanding table plus a ceiling element that supports both a timed self-cooking mode as well as a social cooking situation. 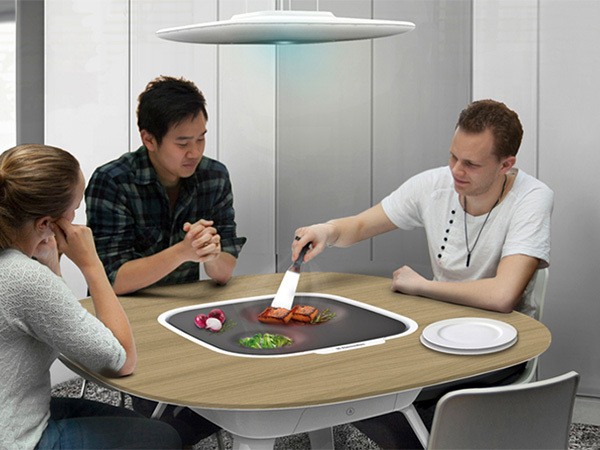 There is a flexible cooking mat placed centrally and with the help of the projector in the ceiling, you can project and an interactive cooking experience. The essence is to get everyone involved in the cooking process. Anything that brings in more helping hands! For sure, this broth won’t spoil due to too many cooks! 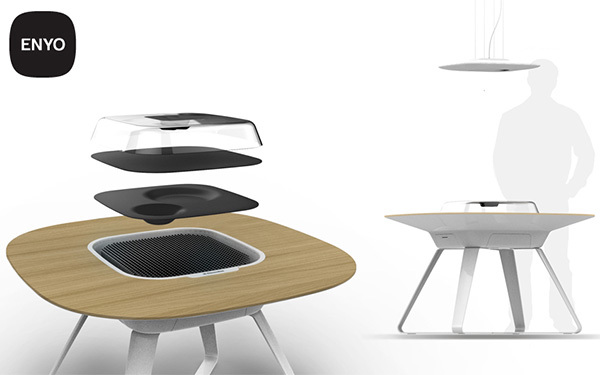 ENYO is a 2014 Electrolux Design Lab Top 100 entry. You can vote for this or any other entry here. Not many octogenarians can claim to have been at the forefront of fashion trends their whole life. The same cannot be said for Laminex® – a name synonymous with decorative surfaces and an undisputed design leader in the building industry. Laminex started out 80 years ago as the creator of laminated resin timing-gears for car engines, literally operating out of a ‘tin shed’ in Melbourne. 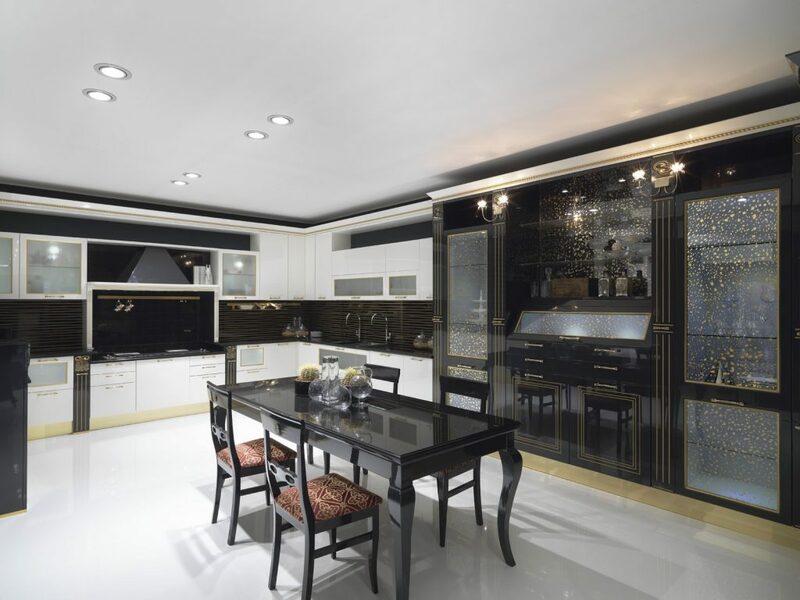 Since then, Laminex has continually evolved to offer an expansive array of decorative surface solutions across both residential and commercial applications. Today, Laminex is widely regarded as one of Australia’s and New Zealand’s leading manufacturers and distributors of building materials. Laminex Australia General Manager – Marketing, George Bej, said for the past eight decades, Laminex has maintained its market and customer relevance through innovation, product development and a customer-centric strategy. In the 50s, 60s and 70s, Laminex led the market with stylish, attractive and resilient surfaces, developed and manufactured in Australia. At the time, the only alternatives available were products such as oil cloth, paint or vinyl, and Laminex had superior decorative qualities and performance properties to all of these. According to George, 80 years on, Laminex continues to be recognised by its peers as the pre-eminent design leader in decorative surfaces for both the domestic and commercial markets. “You can literally use our functional and design-leading products in any room of the house, as well as through myriad architectural projects. “We’ve stayed at the forefront of design by investing significantly in understanding global and domestic trends in fashion, decors, finishes and material technologies, all of which, have underpinned our decades of market leadership. “Today marks a milestone for the Laminex business model, which has survived wars, technological upheaval, economic cycles and globalisation. As we celebrate 80 years, our focus remains on providing our customers with innovative products that are useful, inspiring and forward-thinking. We’re committed to fostering business partnerships and an environment where our employees and customers are valued and empowered to achieve their goals,” George said. 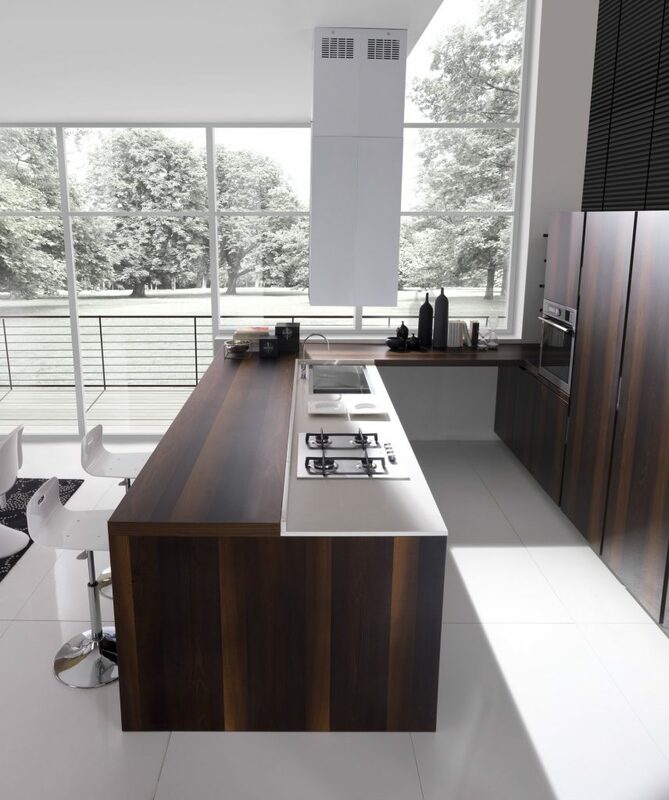 Laminex’s comprehensive product portfolio includes cabinetry, splashbacks and wall panelling solutions. Create looks that work with Formica’s simple range of popular colours and an integrated selection of benchtops, doors, panels, wardrobes and commercial furniture. Formica products are backed by a 7 year limited warranty for added peace of mind. Inspire your space with Australia’s leading brand of decorative surfaces. Innovative kitchen, bathroom and interior solutions are available in an evolving range of styles, tones and textures, and with limited warranties starting at 7 years. For the ultimate in sophistication, look no further than essastone. Comprising up to 95% natural quartz, essastone offers a sophisticated selection of designs. Offering an exceptional 15 year limited warranty, it’s the first choice for engineered stone. designer3D is an online tool that lets you create a virtual 3D kitchen. Search the online catalogue for cabinets, doors, benchtops and splashbacks. 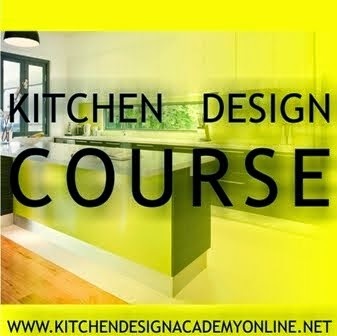 Place these in your virtual kitchen and create different colour schemes, then save, print or email your design. The largest range of essential wood panel products and accessories in Australia developed specially for Trade. This range is not only high in quality and durable, but also competitively priced, and made and sold locally. Whether you’re building furniture or flooring, you can look to our specialised timber division and associated hardware ranges in WA. Plus, enjoy the convenience of our drive through, trade counter, estimating and technical service. 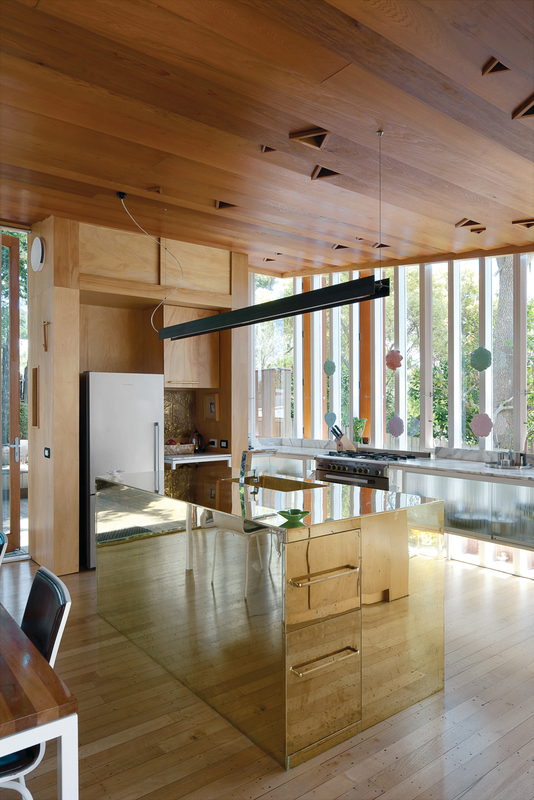 In Auckland, New Zealand, architect Michael O’Sullivan and his partner Melissa Schollum braved a miniscule budget, withering looks from friends, and nasty nail-gun injuries to design and build their perfectly proportioned family home. Too much wood? No? Yes?